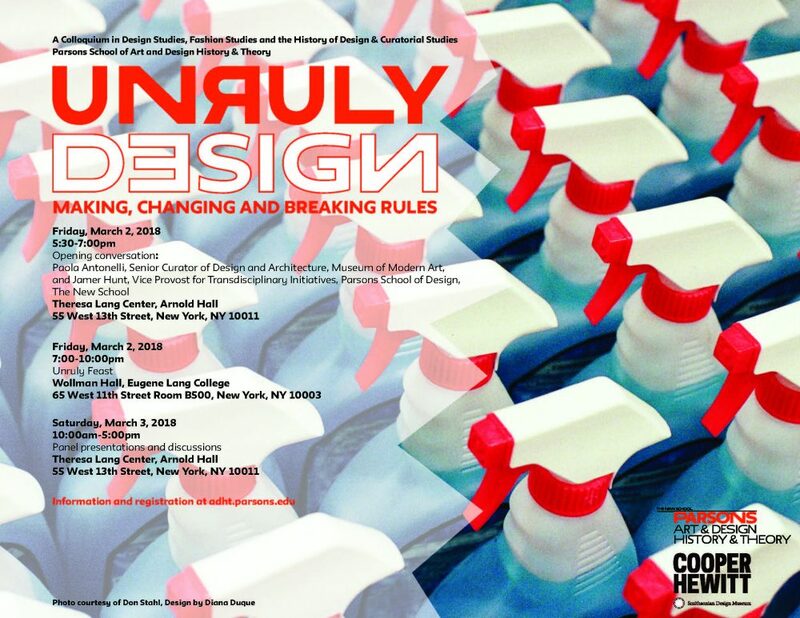 Design and Displacement, the 2018 Design History Society Annual Conference, will take place at Parsons Parsons School of Design September 6th-8th, 2018. 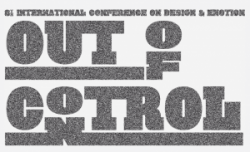 The conference examines displacement and attendant issues from a design perspective. 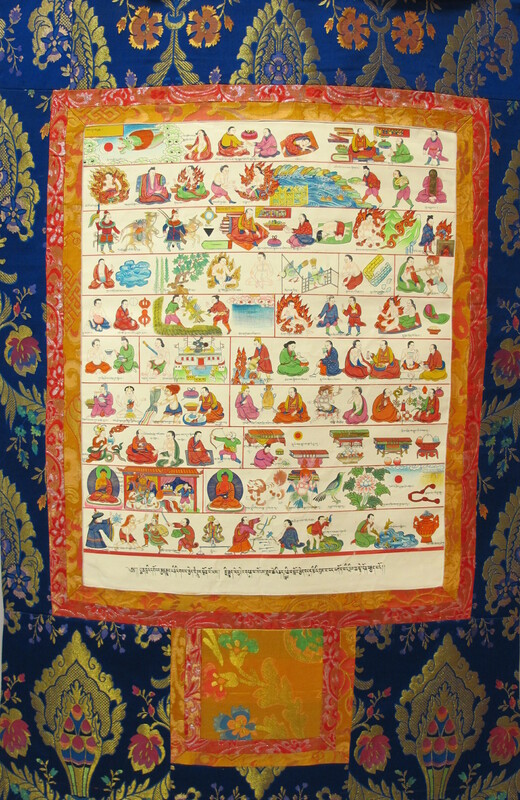 In addition to the current displacement of people and populations, sessions will consider the theme more broadly and historically, including connections among the displacement of objects and styles, changing technologies, and broad geographies and histories related to landscapes and urban development. The keynote speakers reflect a variety of methodological approaches and are drawn from a range of academic disciplines. 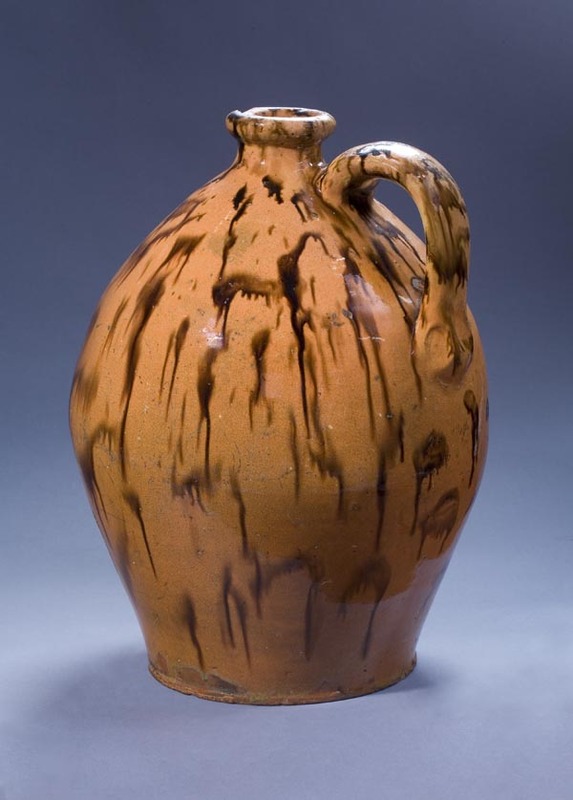 The keynote speakers are: Paul Chaat Smith, Comanche author, essayist and curator; Lowery Stokes Sims, Curator Emerita, the Museum of Art and Design, New York; Tony Fry, designer, theorist, educator and author; and Mabel O. Wilson, architect and architectural historian. 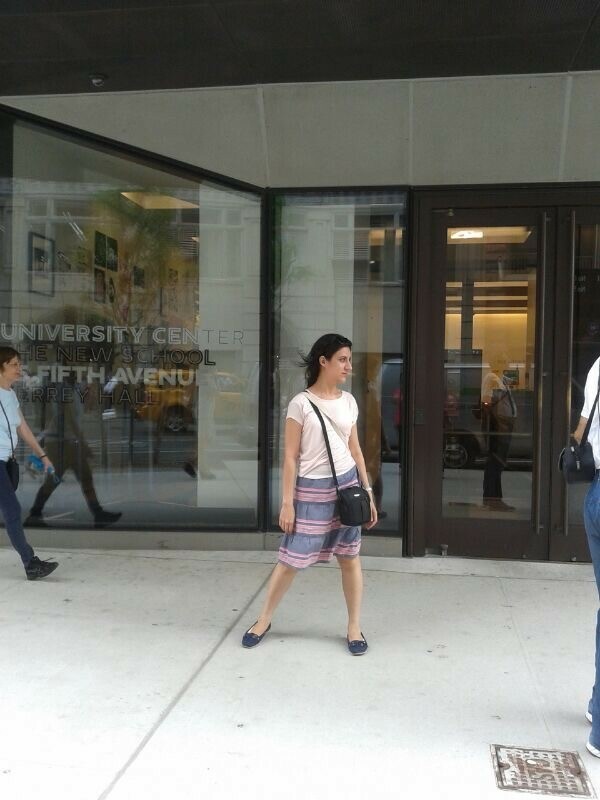 In addition to the conference sessions, delegates are invited to an evening reception at Cooper Hewitt, Smithsonian Design Museum, as well as a choice of several conference visits including: Flushing Meadows Park, the site of the 1939 and 1964 New York World’s Fair; a curator-led tour of Cooper Hewitt; or a trip to the Paul Rudolph House. The conference gala dinner will be held aboard the “Spirit of New York”, a dinner boat that will sail past some of New York City’s most significant architectural landmarks. 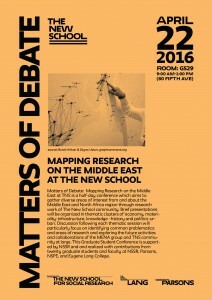 For more information please visit the conference website: http://www.designdisplacement.com/ or contact conference convener, Sarah A. Lichtman at lichtmas@newschool.edu. 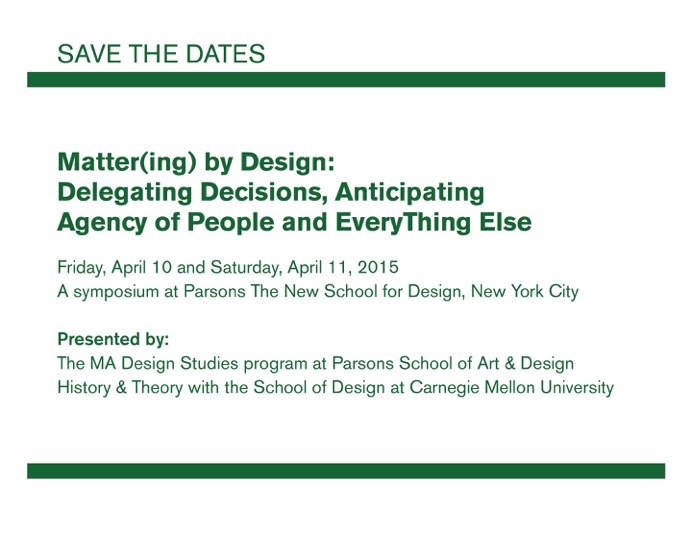 The School of Art and Design History and Theory will sponsor a graduate student symposium as a part of the 2018 Parsons Festival. Planned by HDCS, MAFS, MADS students- the two day event will feature short presentations followed by a reception. All are welcome to attend. 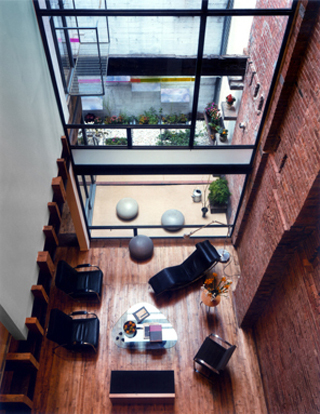 The New School’s Parsons School of Design, which was recently named the number one art and design school in the United States by Top Universities, has been a pioneer in art and design education for more than a century. 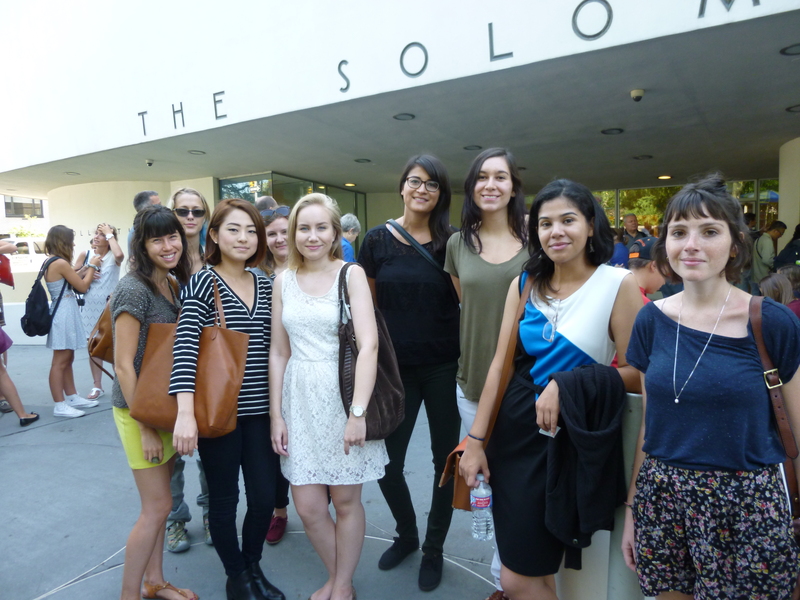 Based in New York but active around the world, Parsons offers undergraduate and graduate programs in the full spectrum of design disciplines. 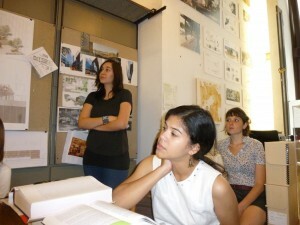 Critical thinking and collaboration are at the heart of a Parsons education. 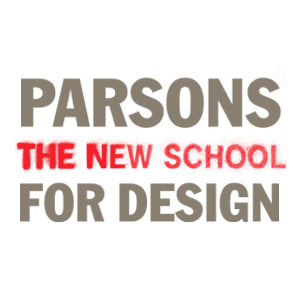 An integral part of The New School, Parsons builds on the university’s legacy of progressive ideals, scholarship, and pedagogy. 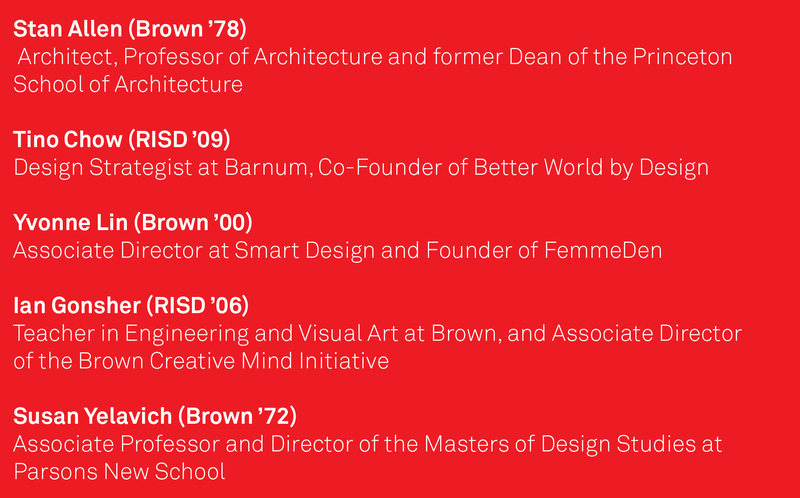 Parsons graduates are leaders in their respective fields with a shared commitment to creatively and critically addressing the complexities of life in the 21st century. All are welcome to attend the annual ADHT Graduate Student Symposium, held May 11 and 12th, 2017 from 11am to 4pm. 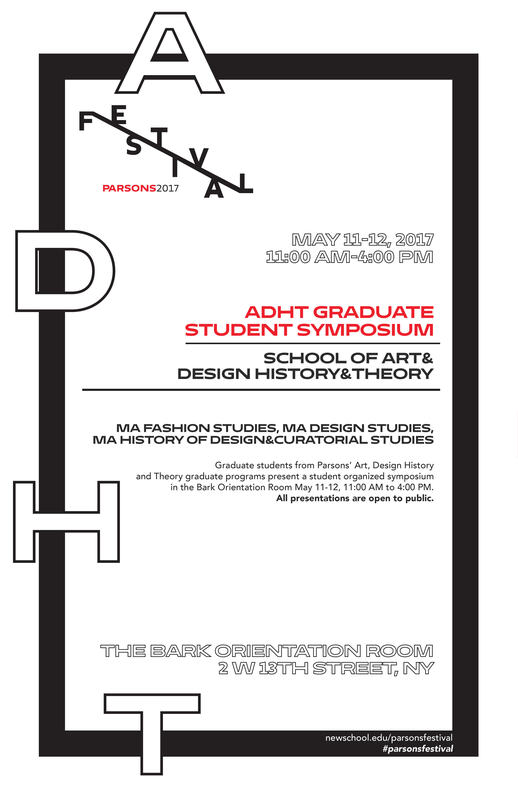 Graduate students from MA Design Studies, MA Fashion Studies, and MA History of Design and Curatorial Studies will be presenting their work from the past academic year in the Bark Orientation Room at 2 W 13th Street. For the full schedule of presentations, click here. 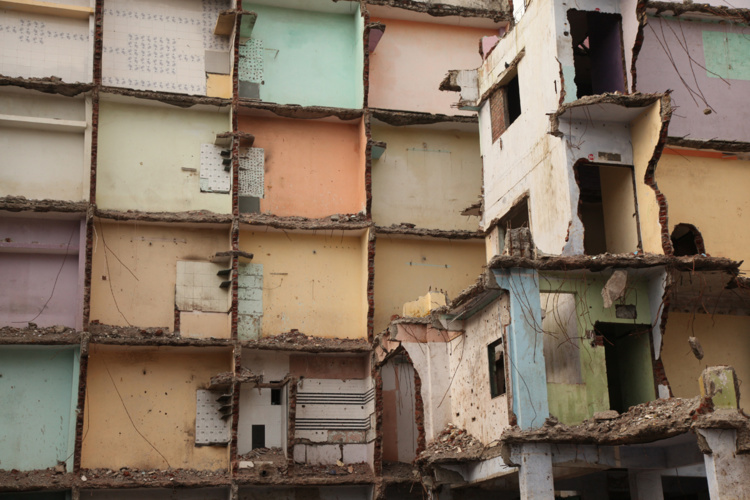 Making Home in Wounded Spaces, an international symposium co-sponsored by the MA Design Studies program of ADHT, and its keynote speaker Lina Sergie Attar were recently featured on design and architecture blog Archinect! As cities densify and the global population increases, much has been made of reclaiming physical spaces: but how does one reclaim a place that is bound up in tragedy, whether that tragedy was natural or man-made? 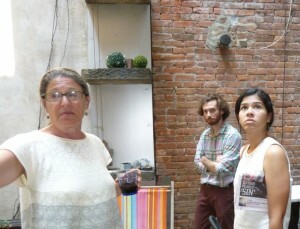 To continue reading about the symposium on Archinect, please visit their page here. For more information on Making Home in Wounded Spaces, please see the The New School event pages for days one and two of the symposium. 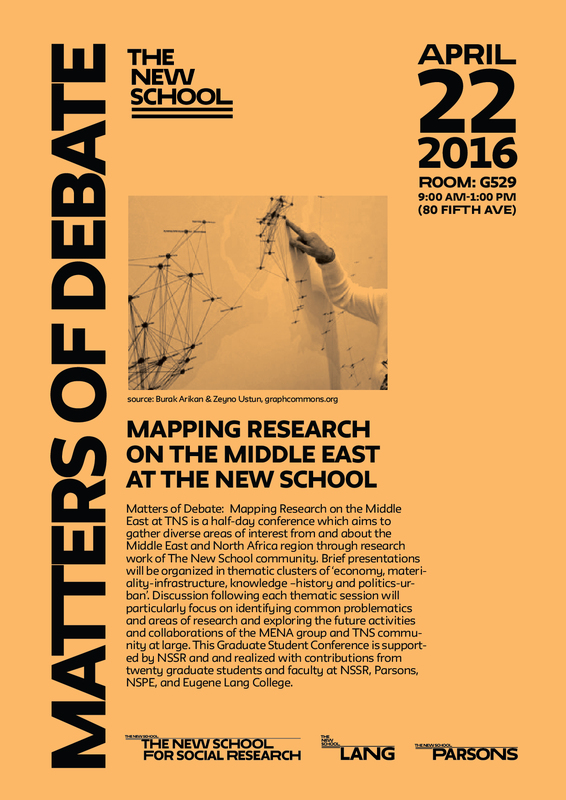 An international symposium co-sponsored by the MA Design Studies program, Parsons School of Art & Design History & Theory, The Transregional Center for Democratic Studies, New School for Social Research, and the Global Studies program at The New School. Website live for Making Home in Wounded Places symposium! Join us on March 3 & 4 for a symposium that looks at the conditions and possibilities for “Making Home in Wounded Spaces: Design, Memory, and the Spatial.” See our new website https://woundedplacessymposium.wordpress.com for details on the conversations and register soon, as space is limited! 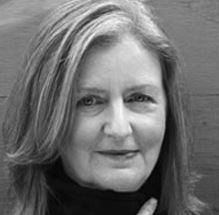 Jilly Traganou is an architect and Associate Professor in Spatial Design Studies. 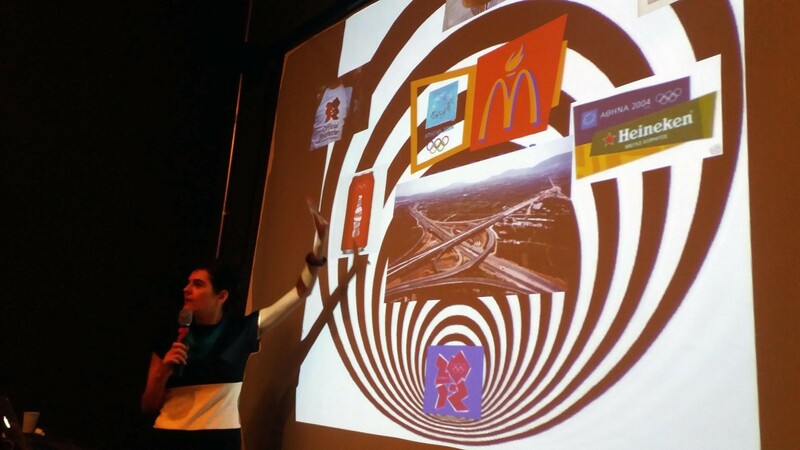 Her recent publications include a book titled Designing the Olympics: Representation, Participation, Contestation (Routledge, 2016). She is the author of The Tokaido Road: Traveling and Representation in Edo and Meiji Japan (RoutledgeCurzon, 2004), a co-editor with Miodrag Mitrasinovic of Travel, Space, Architecture (Ashgate, 2009) and a contributor to several books, most recently the Routledge Companion to Design Studies (2016). 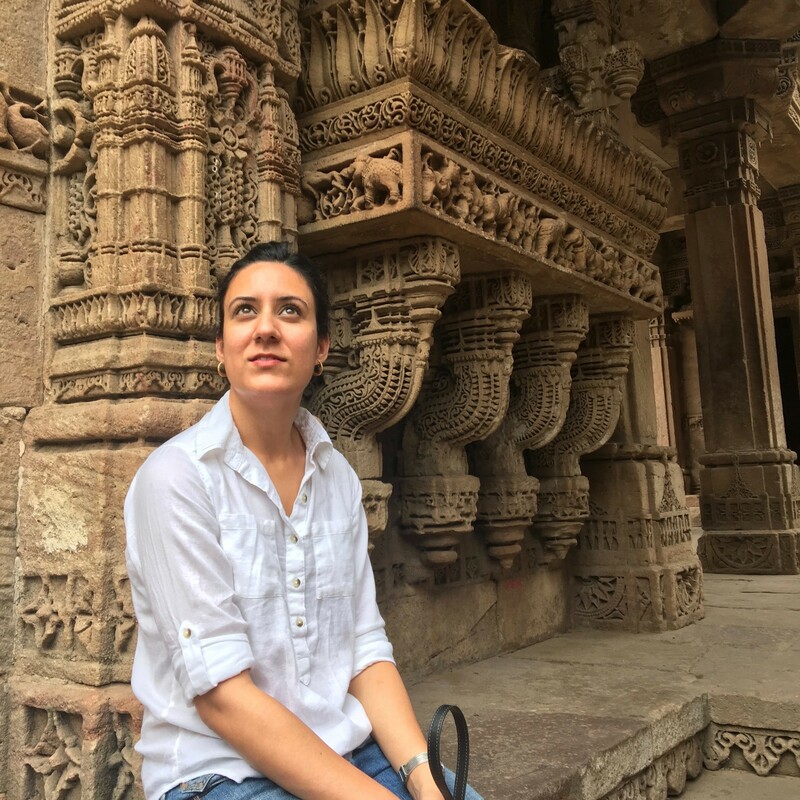 Professor Traganou has been Fellow of the Japan Foundation, the European Union Science and Technology postdoctoral program, Princeton Program in Hellenic Studies, and Bard Graduate Center, as well as a recipient of two Graham Foundation grants. 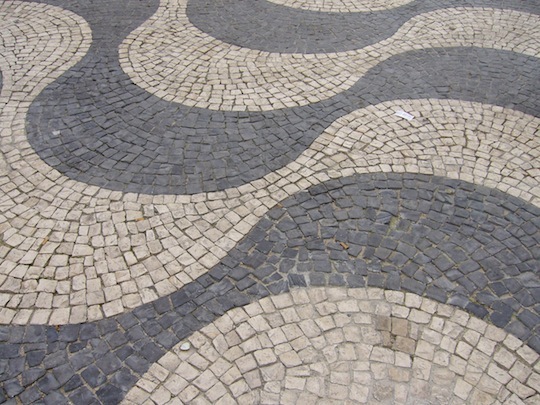 She has most recently been the recipient of a Fulbright Scholarship and spent last summer in Rio de Janeiro conducting design research on the last Olympic Games. 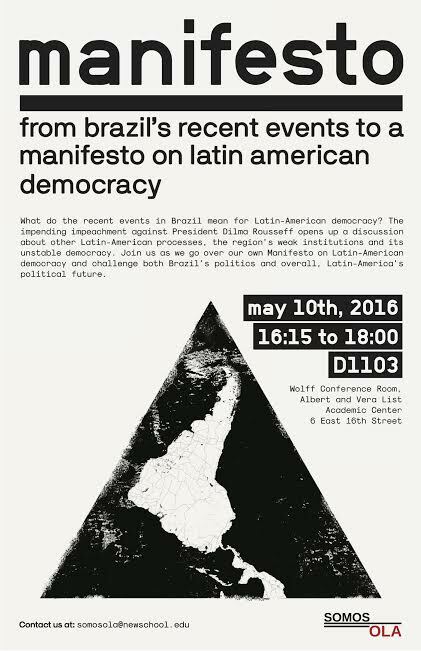 May 10th 2016, 16:15 to 18:00 hrs. In the need to discuss the current political debates on Brazil and Latin America, from the impending impeachment of Brazilian President Dilma Rousseff, to the rise of other conservative leaders in neighboring countries, Laura Belik, MADS second year student from São Paulo, is organizing together with a group of students from the Latin American Student Organization Somos OLA the event “From Brazil’s Recent Events to a Manifesto on Latin American Democracy“. This event is organized in a pecha Kucha style, where 12 guest-speakers were invited to discuss the Manifesto Somos OLA students created as well as to give their overview on the current situation of their country’s scenario. 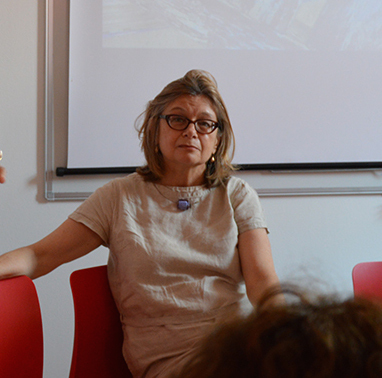 Over the month of April, MA Design Studies student Laura Belik, in conjunction with the Design Studies Forum, organized the “Latin America Documentary Screenings: Discussions Of Space,” a series of film screenings and talks focusing on the spatiality and urban environments of the region. 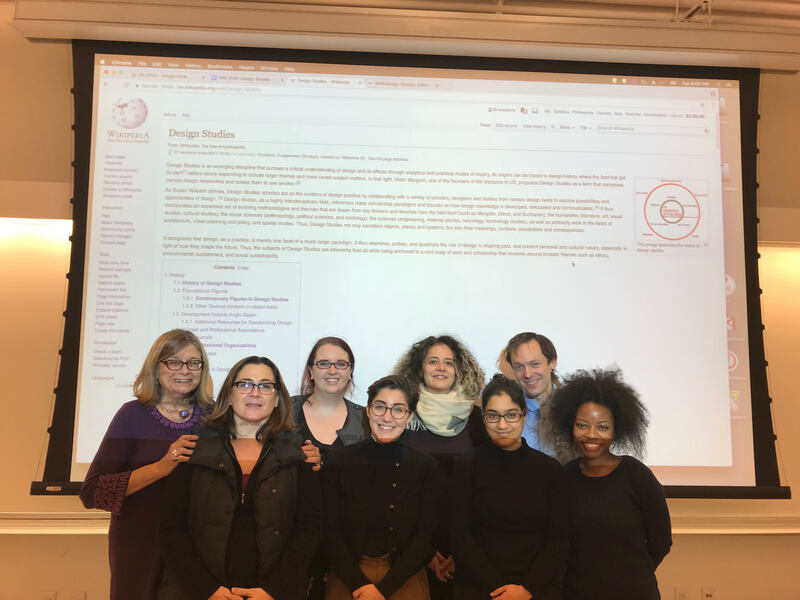 Each event highlighted different aspects of the topic of space, with discussion topics ranging from cities, urban democracy, and social justice to public spaces, the commons, and displacement. 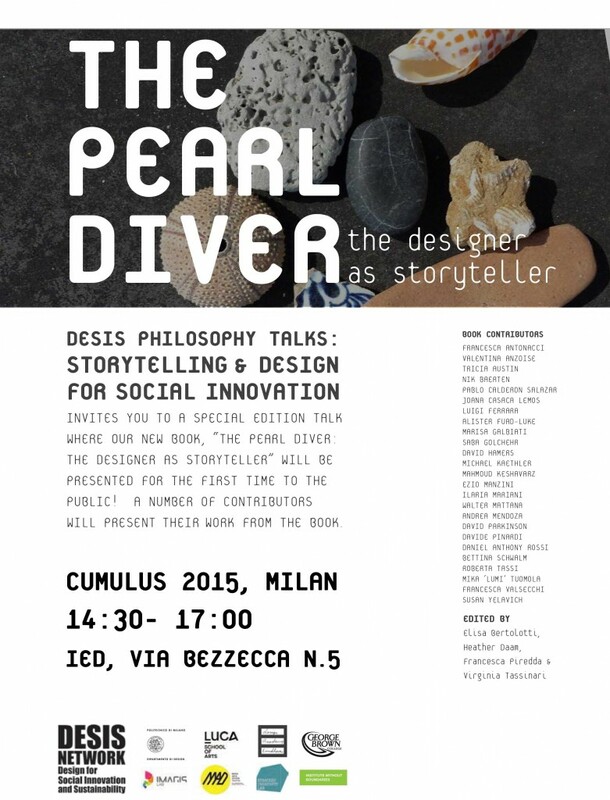 This June, at the Milan Cumulus conference, I had the pleasure of speaking with colleagues from around the world about how literature—stories in which objects and places act as protagonists—can offer fresh perspectives on design. Mine was just one contribution to a larger discussion organized around the role of narrative in design for social innovation—a conversation organized by Elisa Bertolotti, Heather Dam, Francesca Piredda and Virginia Tassinari. All of them have become treasured colleagues and partners in future collaborations. 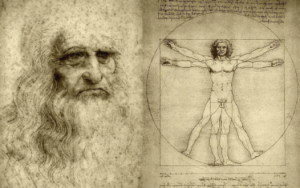 The introduction of the 15/16th-century Italian polymath into the conversation about the future and culture of design was startling (even in an Italian context). For surely, Manzini is not a traditionalist or remotely nostalgic. My own reaction (which may not or may not reflect the tenor of the conference) was that as design pursues its righteous and necessary ambition to address pressing social and environmental problems, the activity of private reflection has come to be tainted with elitism. 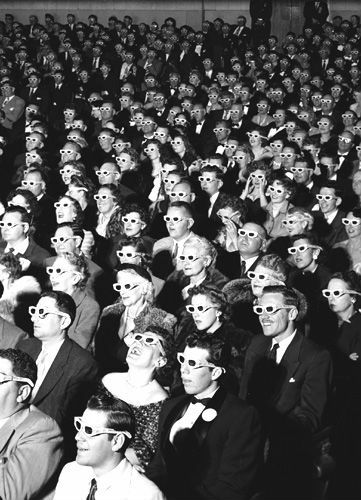 Our urge to be social may be at risk of endangering the nurturing possibilities of retreat. Clearly, the pendulum of design culture needs to oscillate between the two states. 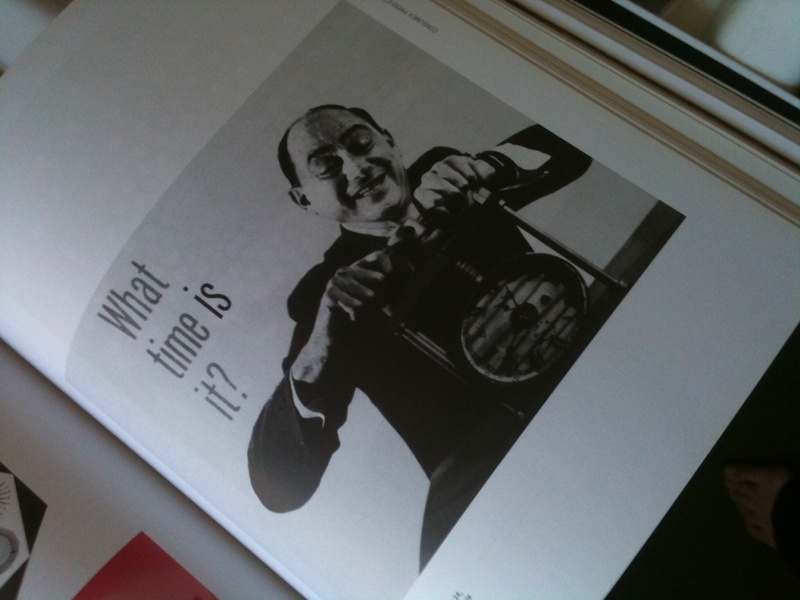 Moreover, some of us have greater affect working alone for long periods of time before joining the wonderfully messy fray of democratic exchange that is design for social justice. At least this is my defense as I begin my sabbatical this July and embark on the hermetic project of writing the book that the Storytelling and Design session took me one step closer to formulating—A Literature of Places and Things: Reading and Writing Design. 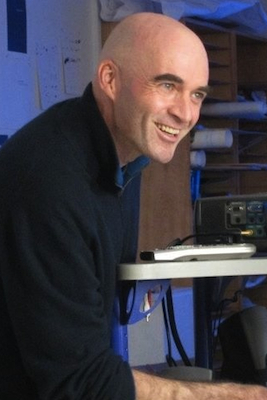 Special lecture: How Does Mapping Make Up the World? 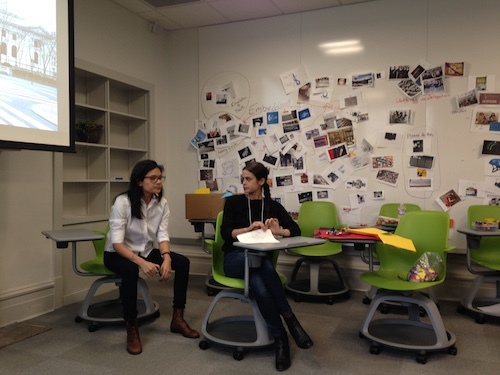 Parsons Design Studies MA students Mae Wiskin and Rachel Smith enacting a scenario of delegated morality by design at the Matter(ing) workshop at Carnegie Mellon University. 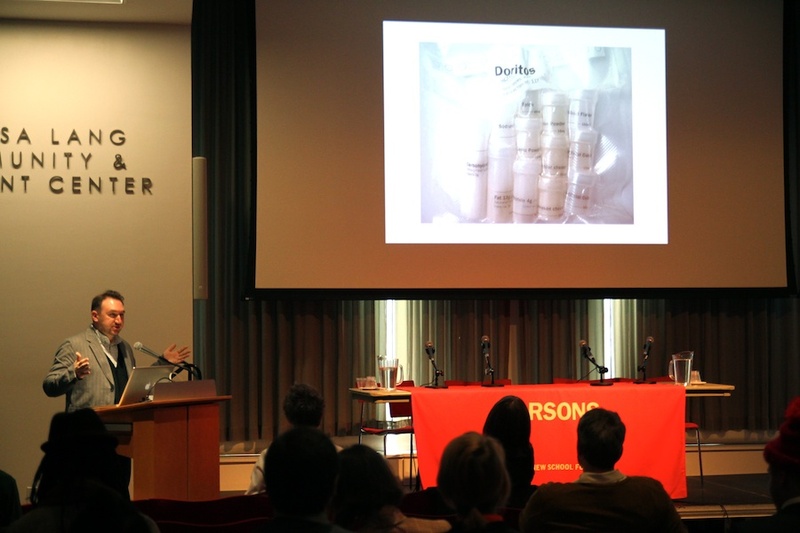 The one-day symposium explored the dynamic interactions between human behavior and information technologies, as well as the multidimensional relationship designed objects share with the concept of morality. Prior to arriving at CMU, each of us was asked to come up images of twenty things that “delegated morality,” things such as seatbelts, security devices, and automatic timers that regulate energy consumption. 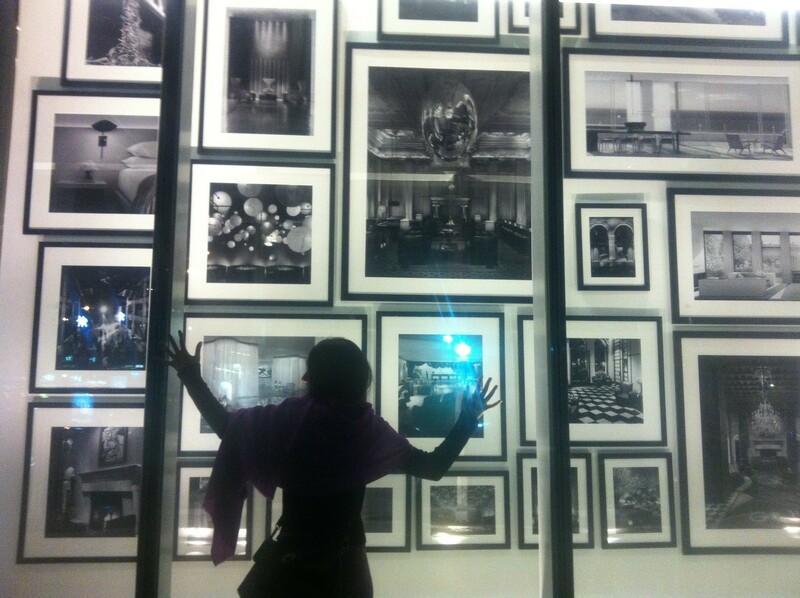 Once I was able to wrap my head around how we delegate our moral agency to things, I could not maneuver through New York City without constantly noting such objects. It became a sort of game and encouraged me to question what it means to be human in an increasingly monitored, digital world. 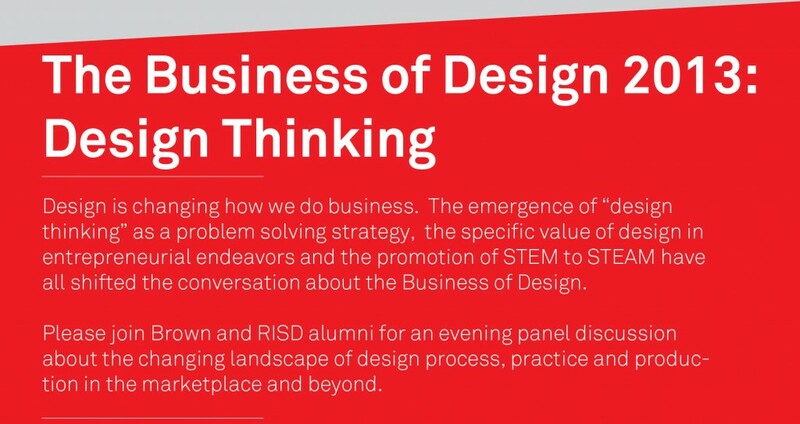 The issues we explored over the course of the symposium paved the way for a larger scale design thinking conference that will be held at Parsons in March 2015. Once the workshop ended, everyone slowly parted ways and disappeared into the cold Pennsylvania air to enjoy the pleasures of Pittsburgh on a Saturday night. The discourse presented at the symposium was intellectually rigorous; I left Carnegie Mellon feeling invigorated and excited to explore the notion of ‘mattering’ further. 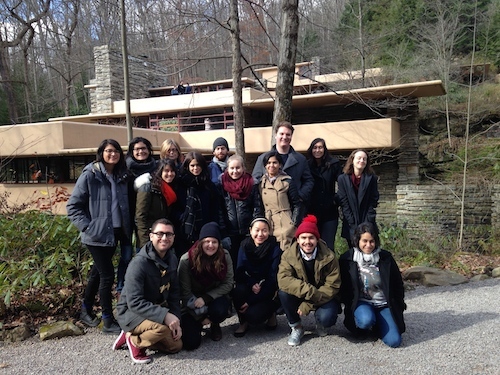 Parsons MA DS Students at Fallingwater. Back row, l to right: Laura Sanchez, Mae Wiskin, Susan Yelavich, Misha Volf, Olly Bolton, Estefania Acosta, Laura Wing; middle row: Micki Unterberg, Rachel Smith, Sonja Holopainen, Quizayra Gonzales; front row: James Laslavic, Gene Duval, Maggie Lin, Juan Pablo Pemberty, Veronica Uribe. The following morning, before returning to New York, our energetic director, Susan Yelavich, treated us all to a trip to visit Fallingwater (1934-39), a very rare home built over a waterfall by America’s most famous architect, Frank Lloyd Wright. It was a beautiful crisp autumn day and the modernist icon was absolutely awe-inspiring. We all left rejuvenated and ready to return to the city with a fresh sense of perspective and energy. The trip was really special and reminded me not only how lucky I am to be a member of a program that encourages disruptive and innovative thought, but also, that it was time to buy winter gloves. Get a behind-the-scenes look at “How Things Don’t Work,” the Victor Papanek exhibit currently on view in the Kellen Gallery on campus. 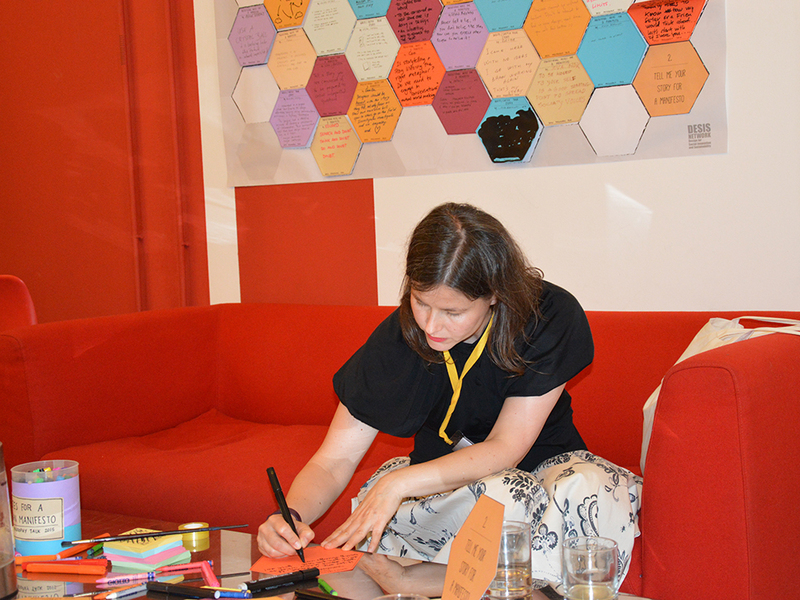 Students from MFA Transdisciplinary Design who participated in the development of the exhibition will share their experience collaborating with the University of Applied Arts, Vienna, creating their contributions, and what they hope the format and content of the exhibition will provoke. This week, Design Forum invites you to join in the discussion of the food industry, food design, and culinary businesses. MS Strategic Design & Management students Romy Raad and Natalie Neumann will present on their blogging venture and MA Design Studies student Yoko Wang will discuss her research. 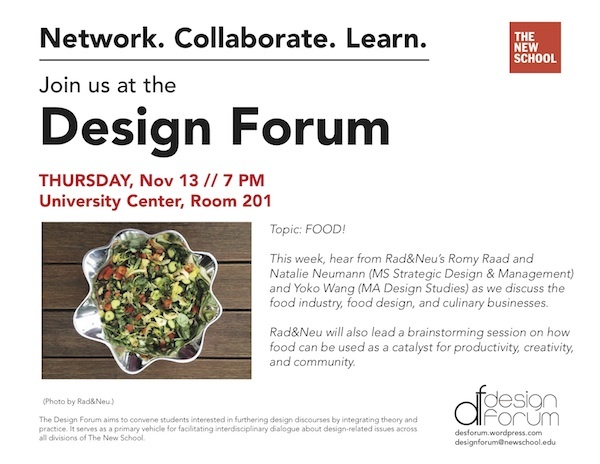 Rad&Neu will lead a brainstorming session on how food can be used as a catalyst for productivity, creativity,and community. 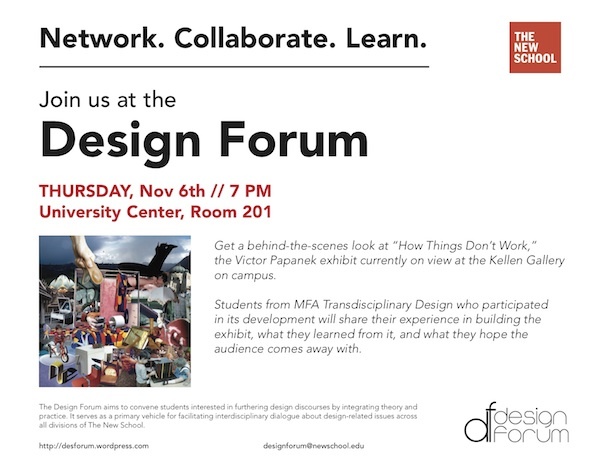 Design Forum Fall Sharing Sessions will provide a platform to present and workshop current student research. 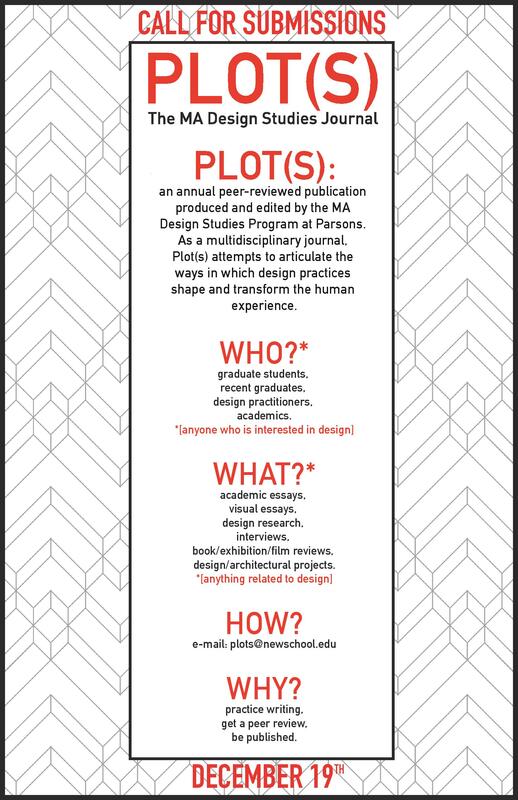 Graduate students from programs across all divisions of The New School are welcome and encouraged to participate and provide feedback. Join us at our first session to hear more about how to sign up to run a workshop, present your research, or moderate the discussion. While the task of the presenters will be to engage the group in a lively discussion on the subject matter, the forum will serve as a resource of interdisciplinary critique and debate of issues raised and topics addressed. 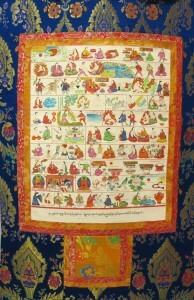 Students are encouraged to share misunderstandings, confusions, and difficulties as well as working techniques and insights. 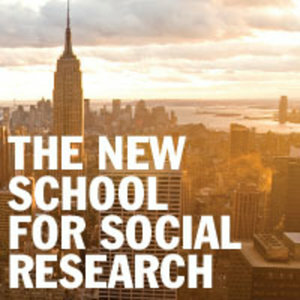 The purpose of the Design Forum is to convene graduate students across all divisions of The New School interested in furthering design discourses as they relate to design practice and the field’s social, political, and economic contexts. The Design Forum shall serve as a primary vehicle for actively facilitating interdisciplinary dialogue about design-related issues. Opening on Saturday, March 22nd, “Thirst” is the second exhibition sponsored by the Proteus Gowanus gallery on the annual theme of “Water.” Curated by Lydia Matthews with a transdisciplinary group of New School graduate and undergraduate students as well as numerous collaborators, “Thirst” explores the uses and abuses of water in the local and global context. Though often taken for granted, water is a precious but disappearing resource, a biological necessity, an environmental concern and a metaphor for spirituality, purification and healing. This new exhibition asks us to consider our complex relationships with and need for water in provocative ways. “Thirst” continues Proteus’ laboratory-like, community engaged exhibition style including installation, practical workshops, roundtable discussions and tours around Gowanus. 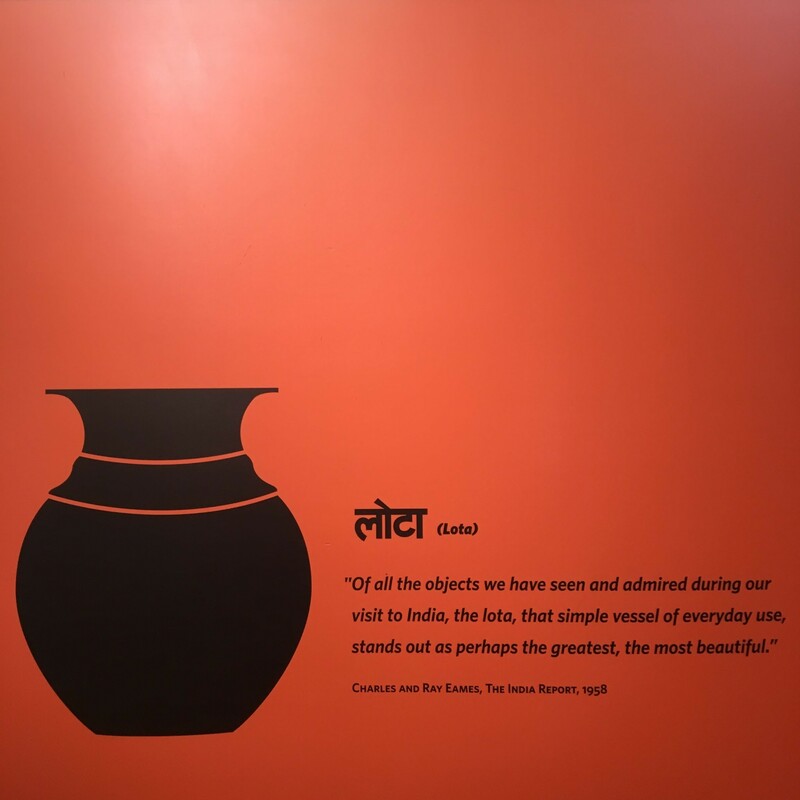 The model of engaging a curatorial theme through different exhibitions and various partners over the course of a year allows a long term and multi-faceted exploration. If you missed the Narratives and Design Studies symposium, here are a few of the presentations for your viewing pleasure. Media designer and design educator Sean Donahue discussed the subversive capabilities of design that can be used to incite action; here he shows a student project in which Doritos were detached from their consumerist brand identity and displayed as individual ingredients. 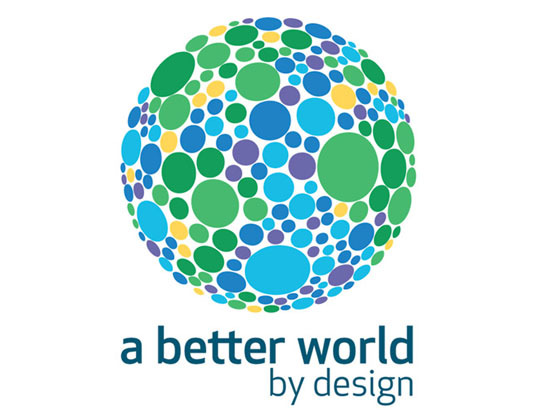 A Better World by Design is an internationally-acclaimed conference held annually at Brown & RISD campuses in Providence, RI. Connecting students, professionals, and individuals from different disciplines, it strives to build a global community of socially-conscious innovators. 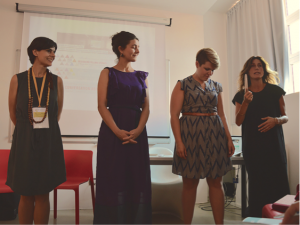 This year’s conference will be held from September 27 to 29. Last Thursday, June 25th, we welcomed the incoming graduate students of the New School. 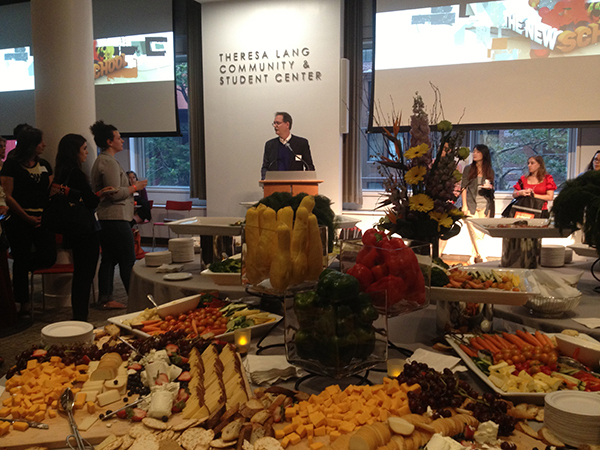 The event was a wonderful opportunity for students from different programs to meet and socialize, ask questions, get advice, and learn about what it’s like to be a part of the New School. It was also a great way to usher us into the new school year, which is starting in less than a month! 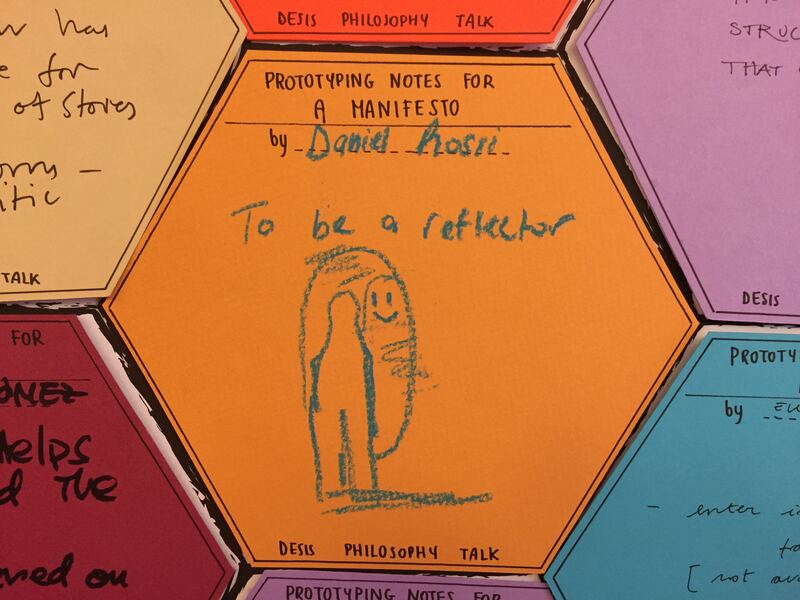 In Design Practices & Paradigms, members of the inaugural MA Design Studies cohort at Parsons explored the scope and ambitions of design in the 21st century. 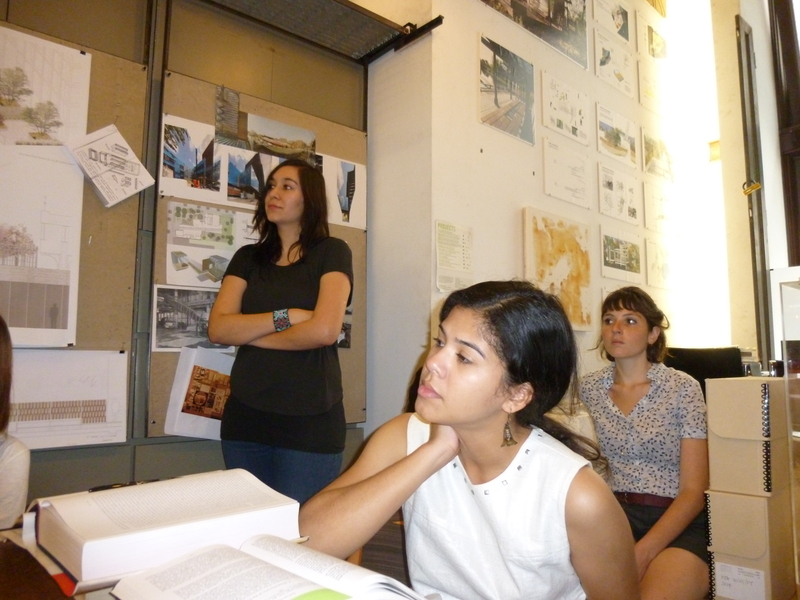 Students interviewed designers and mapped their practices. 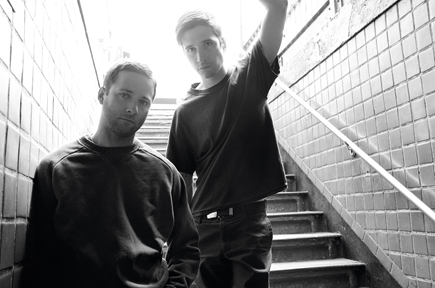 They wrote about their approaches to production, collaboration, and authorship as well as the social and intellectual context that shape their respective projects and values. 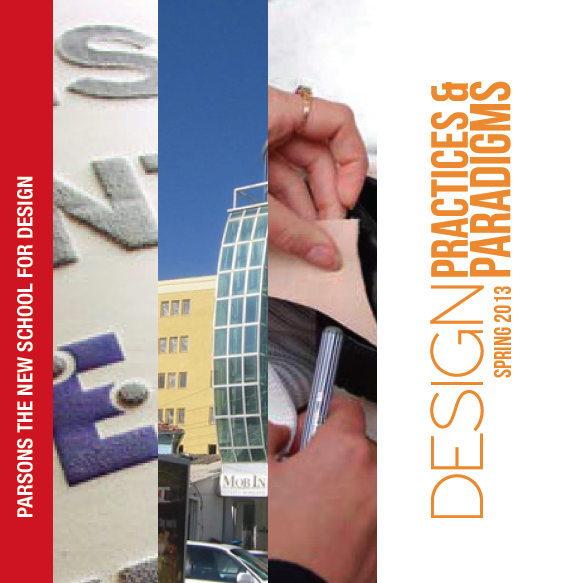 Featured here are three case studies from Design Practices & Paradigms. 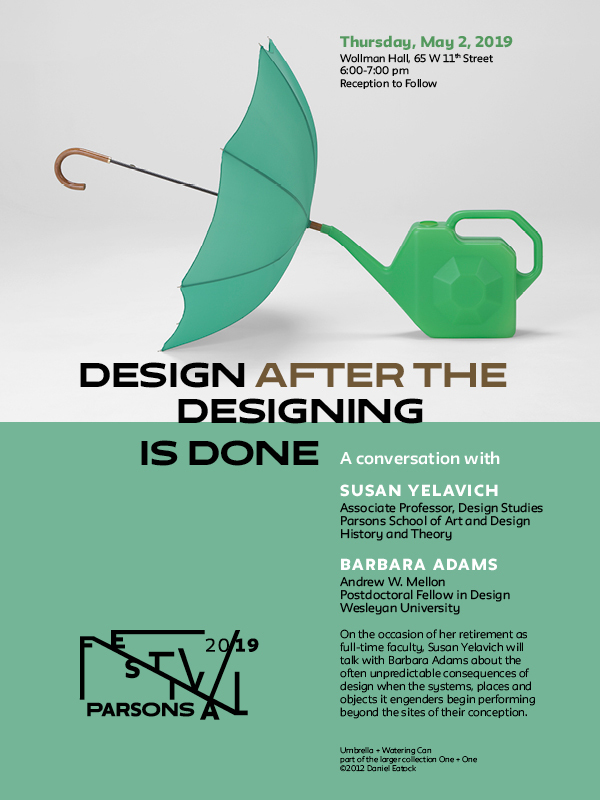 On June 13, 2013, Director Susan Yelavich spoke about the MA Design Studies program at an event discussing the changing landscape of design practices, processes and productions. For more information click here. 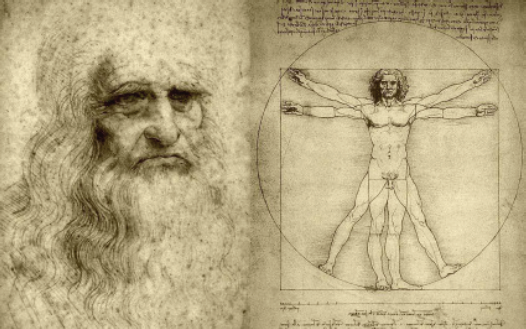 design studies to operate between among the realms of research, analysis, and advocacy. Room 1200,12th Floor of 6 E 16 St. 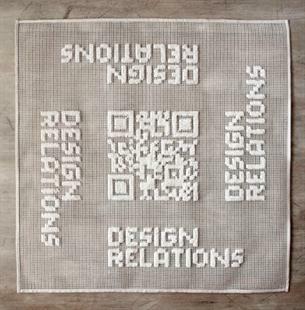 The fifth Nordic Design Research Conference, Nordes ’13: Experiments in Design Research: Expressions, Knowledge, Critique takes place in Copenhagen/Malmö in 2013 June 9th – 12th. 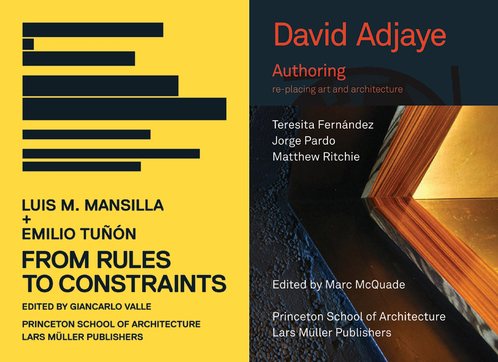 Monday, May 14, 2012, 7:00-9:00 p.m.
Toward a New Cosmopolitanism, an event at The Storefront for Art and Architecture with David Adjaye, Stan Allen, Anthony Appiah, Teresita Fernández, Enrique Walker and Sarah Whiting, will address themes from and celebrate the release of two books (From Rules to Constraints and Authoring: Re-Placing Art and Architecture). 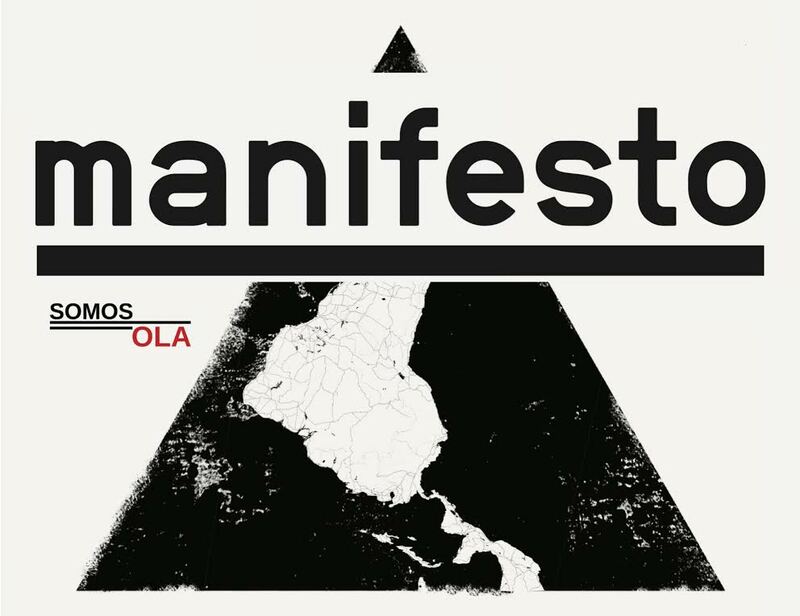 Toward a New Cosmopolitism presents 6 manifestos on contemporary understandings of art and architecture emerging between global and local contexts. Hayden White once noted, “Every discipline [is] constituted by what it forbids its practitioners to do.” In this talk, I adapt White’s statement to argue that disciplines are equally constituted by what they allow practitioners to speak about or how they are allowed to speak. Bathrooms and toilets test the boundaries of disciplinary limits like no other subject. 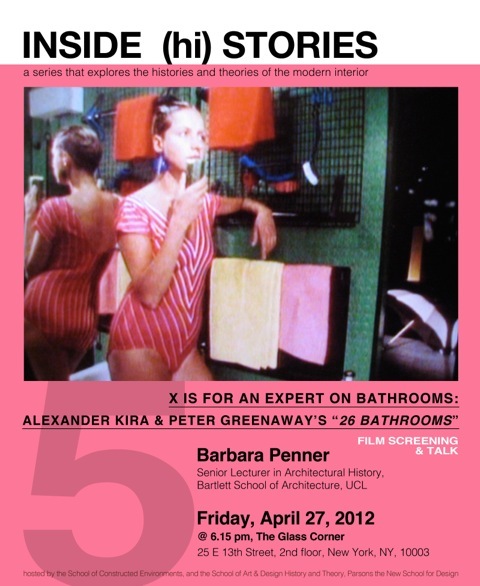 Toilets are not invisible in art and design discourse – far from it – but they are spoken about in very particular ways in order to contain their taboo aspects.The first part of this talk considers the ways in which toilets have been “cleansed” within architecture, specifically through the modernist language of formalism. In the second part, Peter Greenaway’s rare 1985 film, 26 Bathrooms will be screened. The film wittily (but always sympathetically) exposes the restrictions of such cleansed discourse through the figure of the Bathroom Expert. 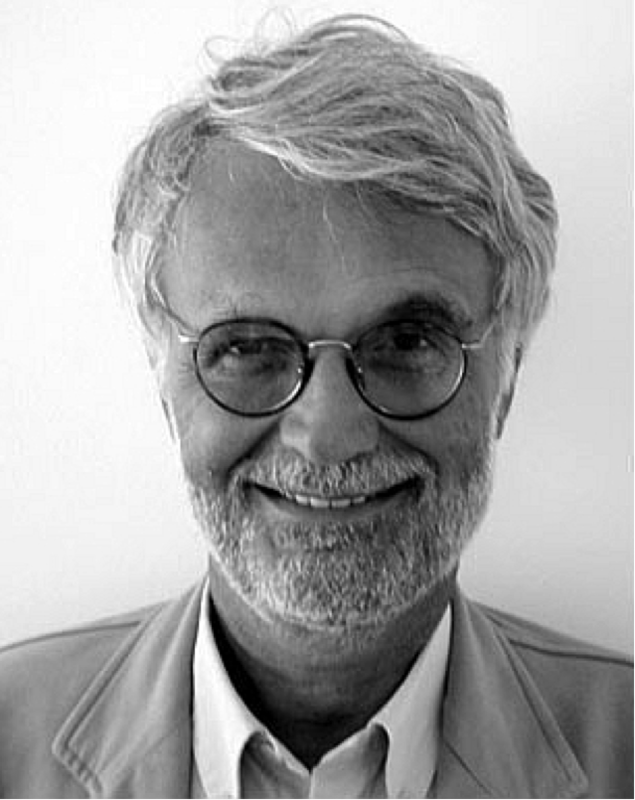 This figure was loosely based on Alexander Kira, whose unique bathroom studies at Cornell University resulted in the 1966 book, The Bathroom, now regarded as a classic of “user-centred” scholarship. 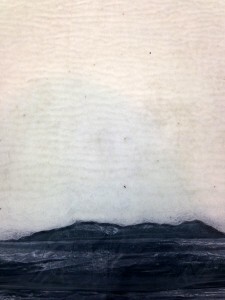 Through the figure of the Expert, Greenaway probes the silences or strategic gaps in scholarly discourse, in a way that continues to be highly relevant today. The seventh biennial MESDA Conference for recent research in the field of early American material culture and decorative arts will take place on October 25-27, 2012 at the East Tennessee Historical Societyin Knoxville, Tennessee.The conference provides the only major forum for scholarly presentation and interaction on American material culture and decorative arts with specific emphasis on the South.The MESDA Conference includes the Gordon Seminar, a day of presentations on a variety of topics in American material culture. The Biennial of Design (or BIO, from its Slovene acronym) is an international design exhibition that, through its selection of well-designed works and emphasis on quality, originality, and innovation, presents current trends in contemporary design. The exhibited works are eligible to receive the Biennial’s awards for the best designs of the past two years. With a tradition of 48 years, BIO is one of the world’s oldest international design events. With the publication of these Rules for Participation, the Organiser of the Biennial, the Museum of Architecture and Design, is inviting submissions for the 23rd Biennial of Design. At the same time we are announcing the appointment of Margriet Vollenberg and Margo Konings, from the studio Organisation in Design, as the curators of BIO 23. The curators have decided on the theme for BIO 23, namely, “Design Relations”, and they will select the works to be exhibited. 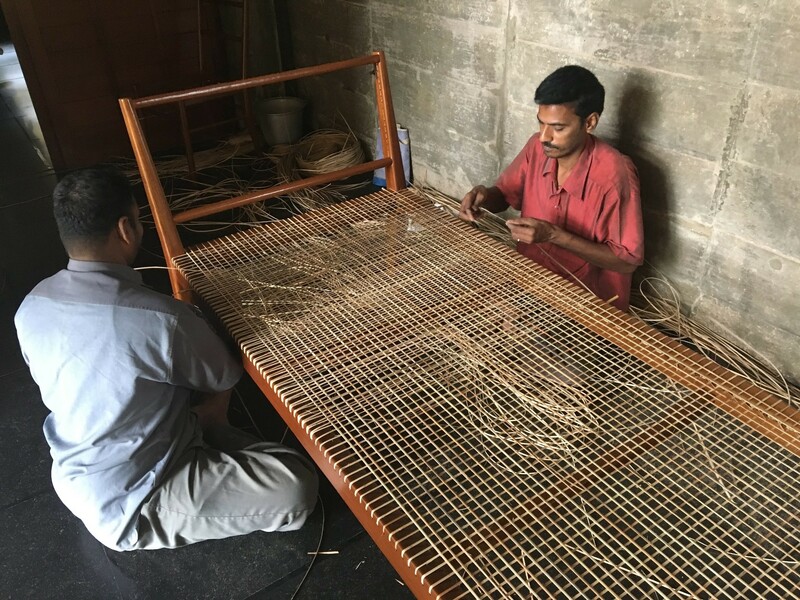 In making their selection, they will be guided by the criteria of functionality, sustainability, commercial viability, cultural significance, social importance, the concept of the work, the use of materials, the production process, and aesthetics.